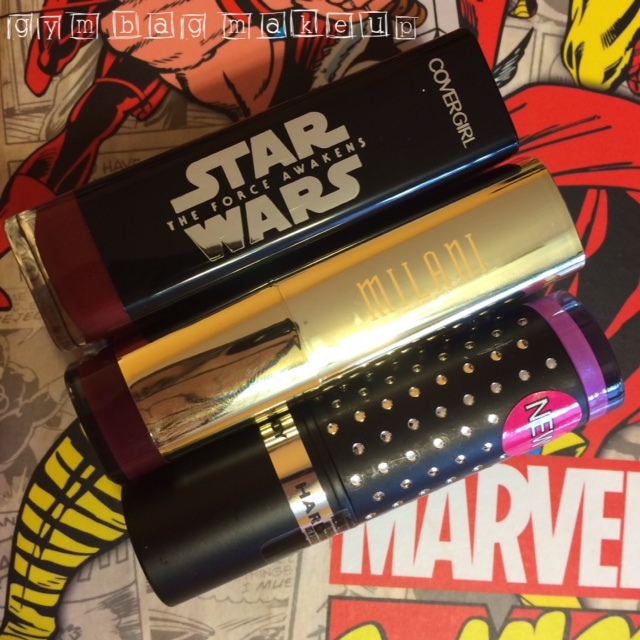 Over the last few weeks I’ve picked up three new tubes of lipstick from the drugstore (actually four…but I’ve lost one of them which is sad) and I thought I’d do a quick post and show them off! I’m not going to lie, I really only bought this because I wanted something from the Star Wars collection. CVS only had one shade on display so at the time I thought that there was only one lipstick in the line (I have since learned that I am wrong, there are some really pretty shades in this collection actually and several of them are very unusual shades to find in the drugstore). 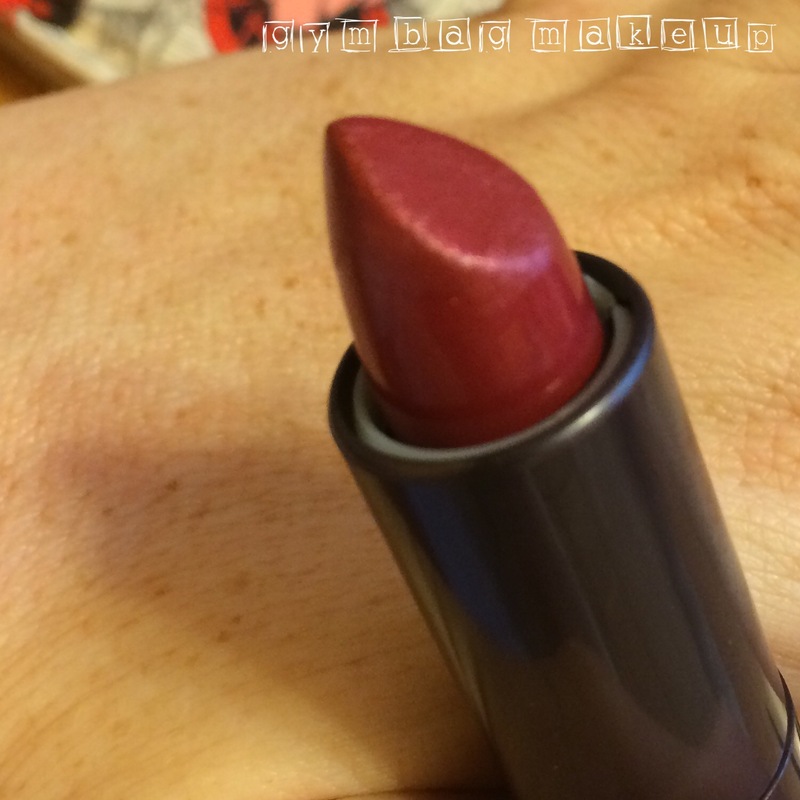 It’s a slightly frosty cranberry shade. Have you seen the trailer for the new Star Wars? I’m stoked! 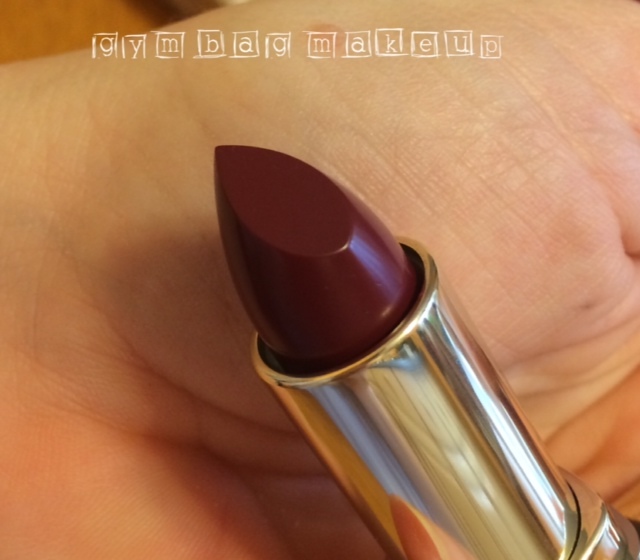 This is a beautiful shade of dark plum but this lipstick is a hot mess. 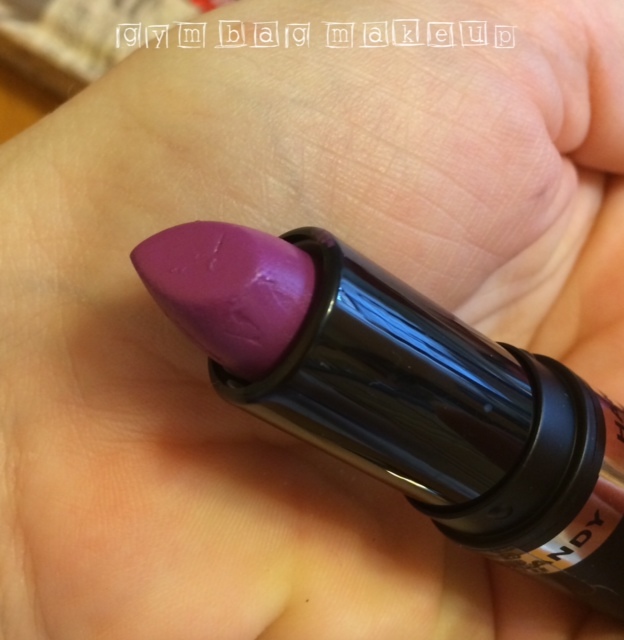 I have never owned a lipstick that clung this visibly to every dry patch and that went so patchy so quickly in my entire life. I have no idea what’s up with this sucker but I’m throwing it out. Milani lipstick usually works really well for me and other shades in the matte line are fine, but Matte Flirty is no bueno. 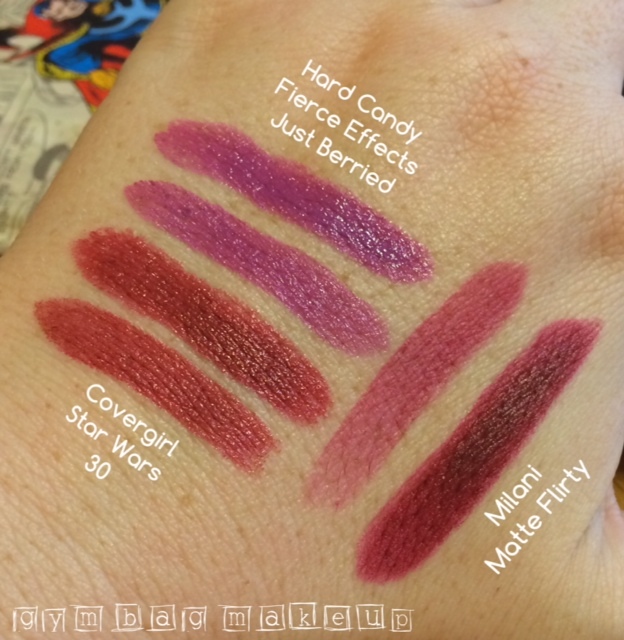 The Fierce Effects Lipstick line seems to be pretty new and there are a few really unique looking shades in the range. 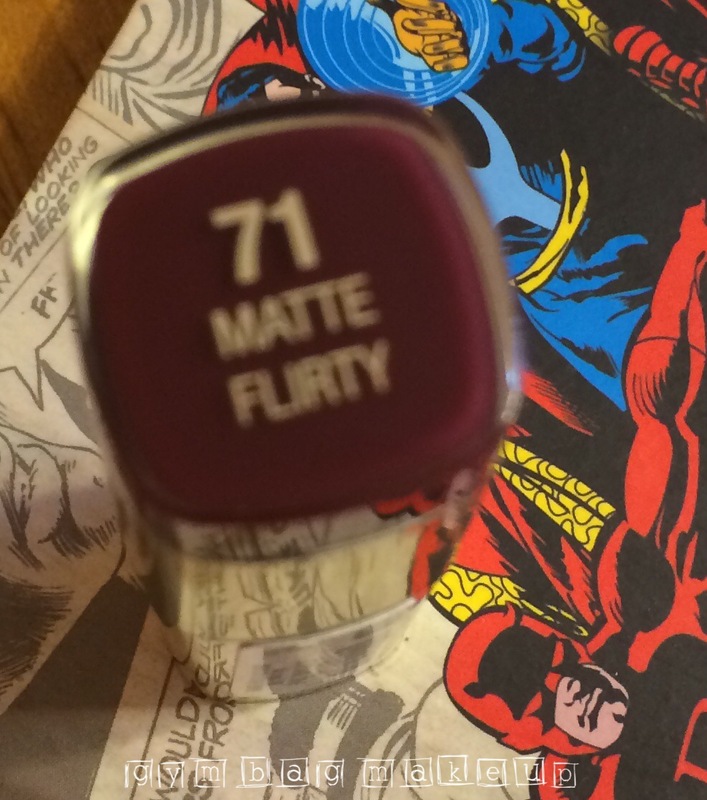 If I recall correctly, I picked the most subdued shade that was in stock. I haven’t actually worn this yet so I can’t speak to the quality but I’ll report back once I have actual opinions. Have you tried any of these? 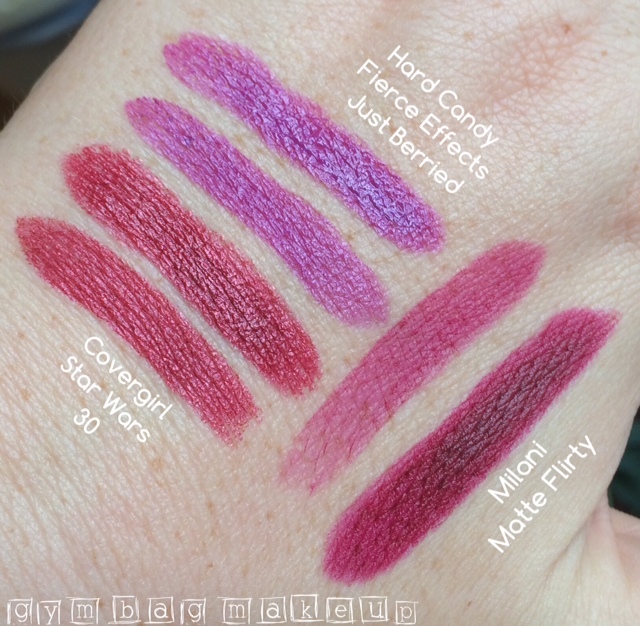 I’m particularly interested to know if you have Milani Matte Flirty and if so, what you think of it. Did I get a dud? Overall I’ve been pretty cautious in my acquisition of new makeup recently but Sephora got me with the annual VIB sale. Haulage coming soon! At this moment I’m so hungry I am actually considering eating celery. Just kidding, I’m not THAT hungry. 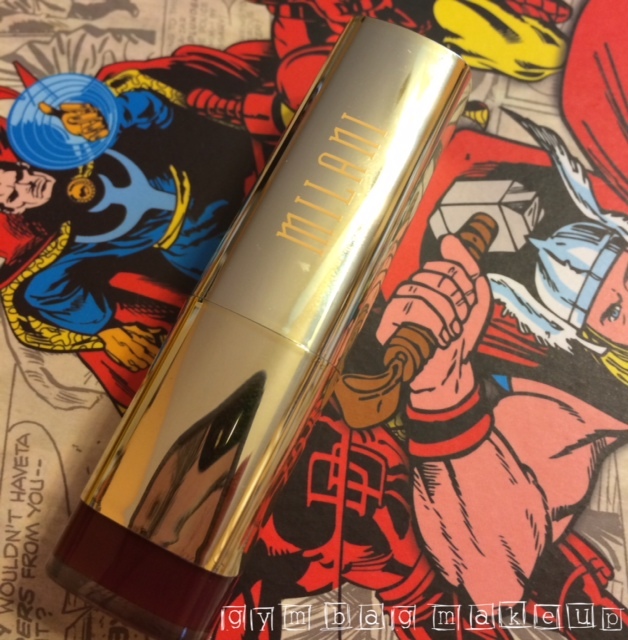 I haven’t tried any of the Milani Mattes. It is really too bad, because the colour is gorgeous! I really wish this one was better because you’re right, the color is gorgeous! I think 99% of the people who bought CoverGirl Star Wars makeup wanted it for the packaging lol. The colours aren’t all that appealing imo. 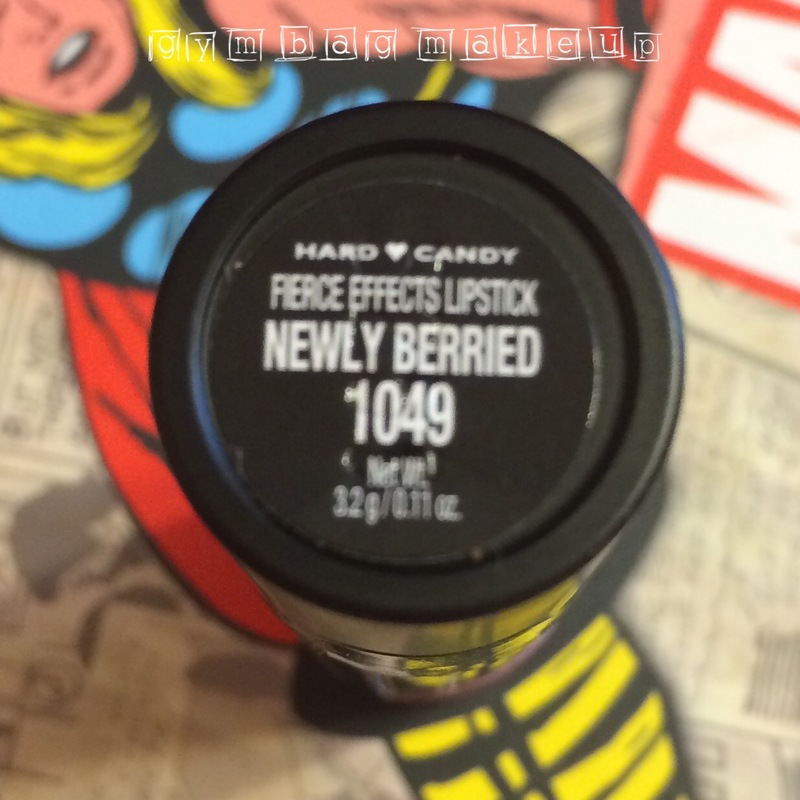 The Hard Candy lipstick looks really nice! LOL about celery. That stuff won’t fill NOBODY. And no one is ever THAT desperate to eat celery, c’mon. That’s some Guantanamo level torture there. Hello fellow sane person who hates celery! That stuff is nasty. You’re right about the packaging. I think the shades are fun and interesting but too weird to be very wearable. 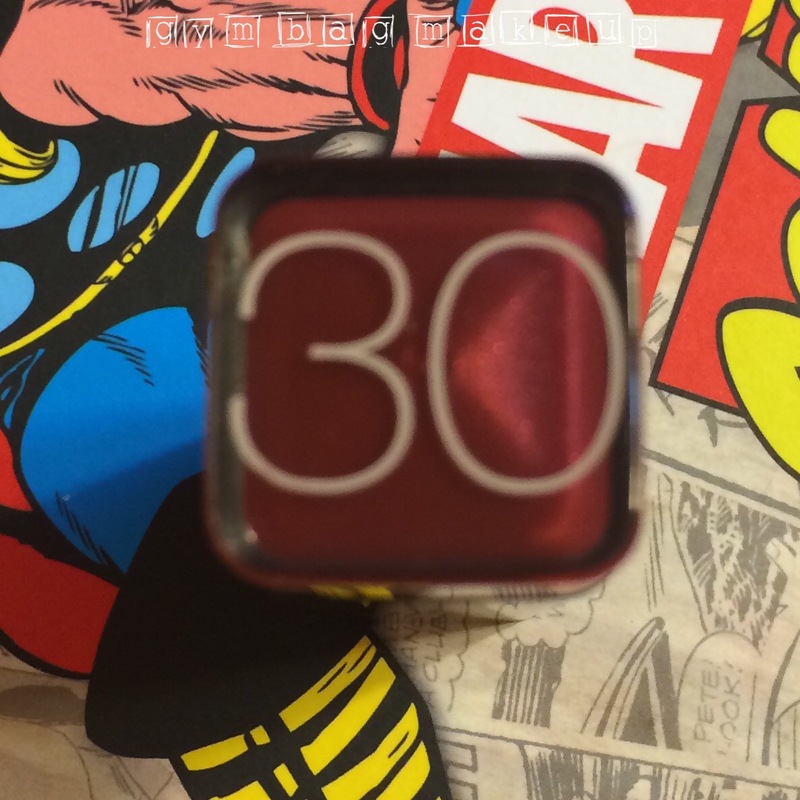 The Milani Mattes have been great for me, so sorry you got a dud. =( I don’t have Flirty, but I do have Confident, and that’s a similarly dark colour… I say dud. Also, celery is the taste of sin. Yay! A fellow same person that doesn’t eat celery! I’ll have to check out Confident because I’m a little bummed that Flirty didn’t work out.